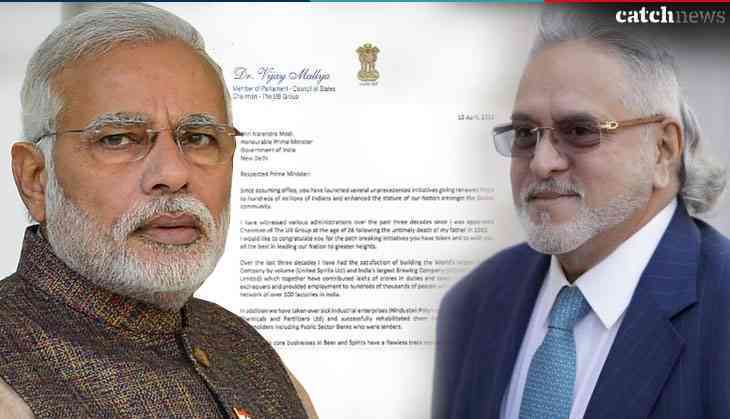 Fugitive business tycoon Vijay Mallya pens a letter to PM Narendra Modi and said he had written letters to both the PM and the finance minister on April 15, 2016 to explain his side of the story in connection with the loan default case. "No response was received from either of them," he said in a statement. Vijay Mallya said that he will "continue to make every effort to settle with public sector banks." "I have become the 'poster boy' of bank default and a lightning rod of public anger," he said. The 62-year-old liquor baron escaped to the UK in 2016 and has been fighting against any moves to extradite him to India to face trial. Mallya is wanted in India for defaulting on loans worth crores and also in a money-laundering case. He reportedly took a flight out of India just when a group of banks launched efforts to recover around Rs. 9,000 crores from him. He was arrested in the UK last year on an extradition warrant. He further said,"I have been accused by politicians and the media alike of having stolen and run away with Rs 9,000 crore that was loaned to Kingfisher Airlines (KFA). Some of the lending Banks have also labelled me a wilful defaulter". Vijay Mallya, whose now-defunct Kingfisher Airlines owes more than Rs 9,000 crore to various banks, had fled India on March 2, 2016. He has been fighting against any moves to extradite him to India to face trial.